Are you one of the many Americans who cannot get by without the provision of a reliable Spectrum phone service plan for meeting your daily professional and personal commitments – like managing your work-related affairs from home, and keeping in touch with family members based overseas. If yes, then you really should consider subscribing to the affordable Spectrum voice service – which offers some of the best calling rates and service feature extras made available through the digital consumer marketplace today. This means that you can talk non-stop with all your acquaintances resident in these local, long-distance & international destinations effortlessly, and only against the fixed monthly subscription rate you pay for. For making calls to other oversees locations, a different pricing tariff applies by Spectrum phone services. In addition, you get to enjoy over 28 exciting calling features (which will be elaborated in greater detail below), along with the peace of mind that comes with a fully contract-less service, and no hidden charges. If you’re stuck in a lengthy contract agreement with another digital vendor and would like to switch to Spectrum to avail the same offering – albeit with the inclusion of the Spectrum voice service – then your transfer might fall under the company’s novel ‘Contract Buyout’ program. Offered on all Spectrum triple play and select Spectrum double play plans, the said service amenity is indicative of the value that Spectrum vests on expanding and maintaining its expansive customers-base and makes way for eligible transitioning consumers to have up to $500 paid off their existing contract amounts paid off by the company. The ‘No Early Termination Fee’ offer provided by the vendor, on a similarly related footing, serves to enhance the end-user experience of all voice customers service even further by ridding them of the fear of canceling their subscriptions before the agreement maturation date. Through this opening, service subscribers can opt to upgrade to another Spectrum service, or choose to leave the company’s fold altogether; without having to incur any early withdrawal payments or cumbersome fines. In order to fully appreciate the complete range of service features made available through the Spectrum phone service, it helps to break them down in a minute ‘one by one’ explorative format – so that no service offering goes unaddressed or unaccounted for. In our review, we’ll start with some basic provisions which are most common to all popular calling plans nowadays and will go on to list those which might be deemed ‘special’ to the subscription service under discussion. By the end of your perusal, you’ll probably end up being more informed on the Spectrum phone service than most company representatives – and will be knowledgeable enough to decide whether you want to avail the subscription utility or not. With the integrated Voicemail feature, you never have to miss out on a phone call again. The Spectrum voice service sees to it that all your voice messages get recorded for future playback/listening. When you get to hear a stuttered tone, this indicates that you have an unheard voicemail. The in-built Call Forwarding feature equips you with the option of having all your important calls forwarded to an assigned number when you’re away from home so that you’re always available for your callers. With this option, you can assign a number of unique ringtones to over 30 high-priority callers – so that you can ascertain from far away when they call (without having to check the Caller ID to do so). This saves you from the unquestionably trying hassle of having to miss an important ring. Another valuable addition to the Spectrum phone service features tapestry, the Repeat Dialing add-on makes continual calling attempts on a busy phone number – and notifies when a line is clear for you to dial. When you’re away from home, the Simultaneous Ringing feature on Spectrum voice service enables you to receive all forwarded calls to your home phone set on up to 5 different contact numbers – so that your contacts know that you’re always connected to them. With Spectrum phone service’ Caller ID feature, you can always track the phone numbers and names (if permitted by the caller) of the people who dial you up; providing you with the option of not having to pick up the receiver for undesirable callers. The Spectrum voice service comes fortified with the Anonymous Call Blocking feature, which informs all callers who ring with a Caller ID block to first reveal their names and phone numbers to be allowed through. This service reinforces the caller protection you gain with a standard Caller ID. This feature allows subscribers to only allow selected callers from being able to reach them directly, and diverts all other incoming call requests – except the ones made from blocked numbers – to voicemail. Through the Readable Voicemail service provision, you can choose to receive full-length email messages that contain a recording of your received/dialed calls, along with a textual transcription. In the event that your Spectrum voice service is ever made unavailable (due to any reason), you can set up a backup phone number to receive all forwarded calls made to the original number. Call Waiting allows service subscribers to engage with two callers simultaneously while keeping each exchange private from the other. During an established calling session, a soft tone indicates that another caller is on the line. With this option, service users can opt for having selected calls (form particular callers, and up to 30 in number) diverted to a designated number – without having to contend with rings from other people. You are no longer required to memorize the phone numbers of important people. Instead, they can program their home phone sets for enabling 1-digit calling of up to eight different numbers. With the Return Call service extra, you can easily phone on the last incoming local call you received. This service is not applicable on 800 and 900 numbers. This nifty service feature enables you to block undesirable calls from annoying telemarketers, political groups and an entire range of sales executives with computerized interfaces. Important calls from dentists, schools, and colleges are allowed through, however. The Call Waiting sans Caller ID service allows you to find out the name and phone number of the individual who may be calling you in the middle of another telephonic exchange; thereby allowing you to determine if you want to take the call or not. With this service feature, you can opt for putting up to 30 different numbers on a Calls Block; which thereafter diverts their numbers to a polite voiced message explaining that you are not accepting calls at the moment. The 3-Way Calling facility available on the Spectrum voice Service allows you to multi-conference with up to three different individuals/parties at a time, and even hold one to speak to the other privately. This allows you to see the names and phone numbers of the individuals calling you on your TV. A complete block, the Do Not Disturb option makes it possible to successfully tune out from all incoming phone calls. Enabling this options puts a complete block on all outgoing international calls instantly. Spectrum phone service can prevent all your call recipients from identifying your Caller ID. In the event of receiving a harassing phone call, you can launch a call trace on the last received phone number. This information is subsequently transferred to a law enforcement agency in your area. This Spectrum voice service feature allows you to put a block on receiving all collect calls. Through Spectrum phone service, you can have all incoming calls forwarded to another number when you’re busy. Spectrum phone service allows you to have voicemail if the phone is not picked up. Similar to the Collect Call Blocking facility, this facility allows blocking all charging 3rd party callers. As the name implies, this feature makes it possible for you to block 900 and 976 numbers from calling. If you want to couple your phone service with a reliable & high-speed Internet utility, then you can do pretty well with a Spectrum phone and Internet (bundle) plan – by all accounts. 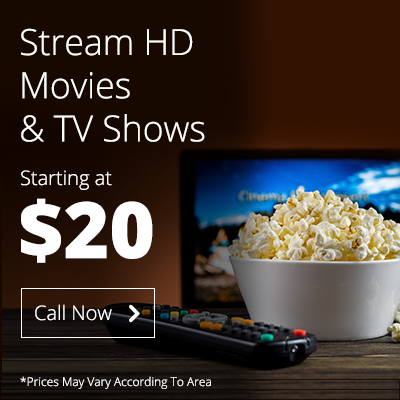 Starting at only $59.98/month, the Spectrum internet + Voice package is a good example of such an offering made available for subscription by the company.